Did you lost documents, photos, mp3 files or pictures from your Pen Drive? Recover deleted data and files with Pen drive data recovery software! 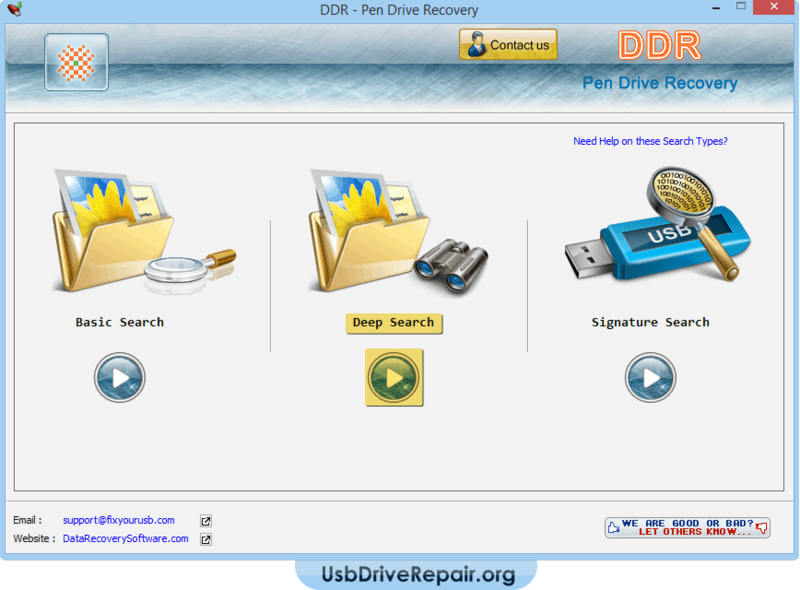 USB drive recovery software undelete lost files and folders from commonly used USB media drives. Software carefully scans entire USB media and recover all deleted data including music files, text folders, digital images, wallpapers, photos and more from formatted, virus corrupted and inaccessible pen drives. Software supports all types of pen drives also popular as Thumb drive, Jet Flash drive, Key Chain drive, USB Flash memory drive, USB memory stick etc of well-known brands such as Kingston, Transcend, Sony, HP, PNY, Sandisk, Kingmax and more. 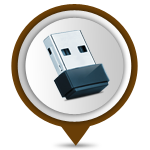 Flash drive recovery software is professional yet simple to operate and no special learning or technical knowledge is needed to operate the program. Select any one recovery mode from Basic Search, Deep Search, and Signature Search. For demonstration purpose, we have selected Deep Search. Select the drive from which you want to recover lost or deleted data files and click Next button. Data recovery is going on. You can stop recovery process by clicking on 'Stop Search' button. However, it is strongly recommended that you should allow the software to complete the searching process. Data is recovered successfully. If you want to save your recovered data, select files and folders from left panel directories tree and click on 'Save Data' button. Data accidently deleted from pen drives. Files lost due to accidental formats. Data missing due to virus corrupted pen drives. Data lost due to improper removal of pendrive from PC. Safely undelete lost files and folders from pen drives. Supports recovery of media files saved in different file formats. Quickly locate and restore deleted and misplaced data. Provide option to save recovered data at user specified location. No complex technical skills are needed to operate the software.